I'm a bad bad girl! But in my defence life got a little crazy and there simply were not enough hours in the day to fit everything in. And that meant I had to prioritise....BUT.....I'm back!!! 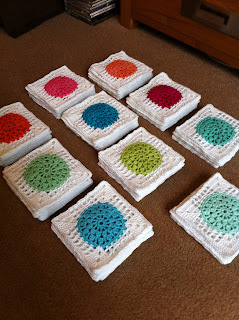 The Jelly Tot/Tea Bag Blankie! Named so because it reminded my hooky pals of either jelly tots (ooh remember those??!!!) or tea bags....don't ask! Anyways this blanket has been made from the most delicious 100% cotton sport weight yarn. 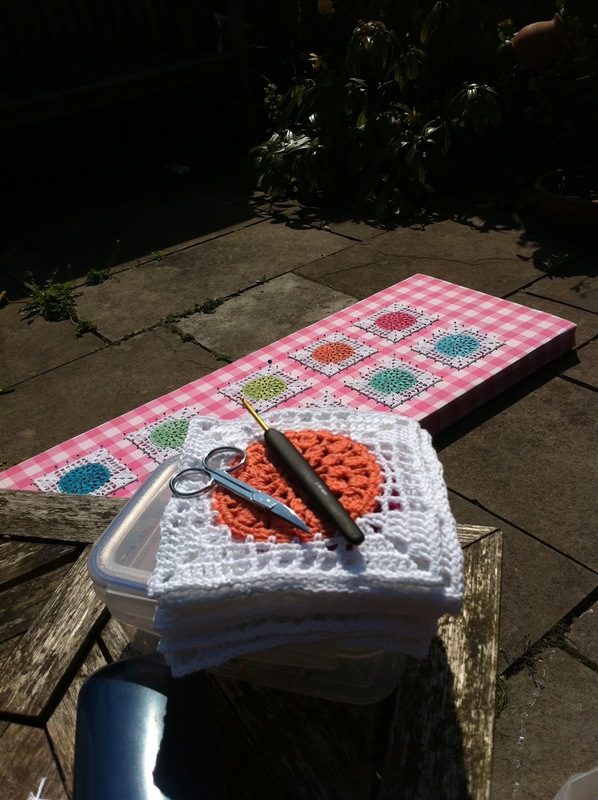 The same as my previous granny square blankie. What can I say about this yarn...other than I adore it! The colour range is mind blowing and the yarn is a dream to work with. It doesn't split like some cottons, having just the right amount of twist. 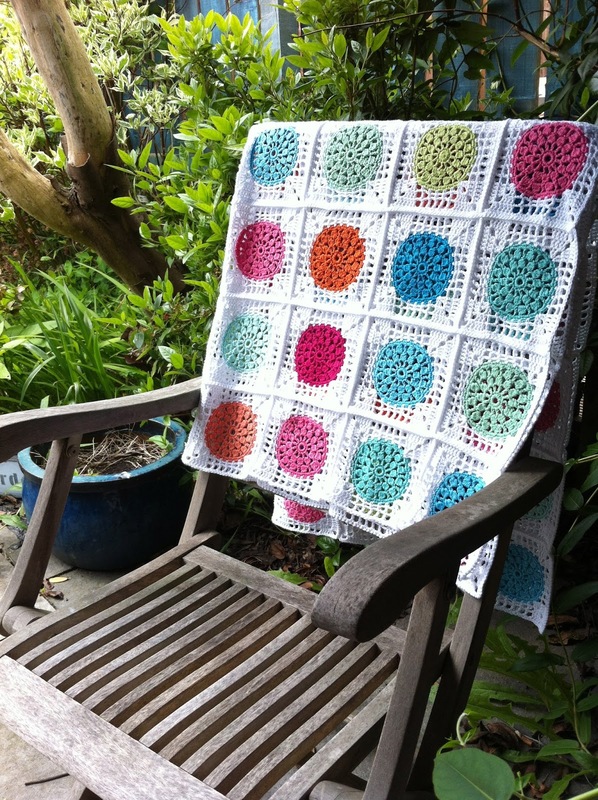 Once blocked, it drapes beautifully and is just the right weight. So the pattern? Its from a Jan Eaton book I have called 200 Crochet Blocks. Now I've had this book for a long time and have tried a few patterns from there with little success. I need instructions that are pretty much idiot proof and I do confess to finding the patterns in this book a little confusing. Maybe it's just me!!!! Anyway I stumbled upon block number 173 and knew it was the one! Perfect for the gorgeous yarn colours. After maybe 7 attempts and a few glasses of wine I cracked the pattern!!! I tried a number of different joining methods until I settled on a double crochet join, simple but very effective. Oh I do love it when the joining is all finished! 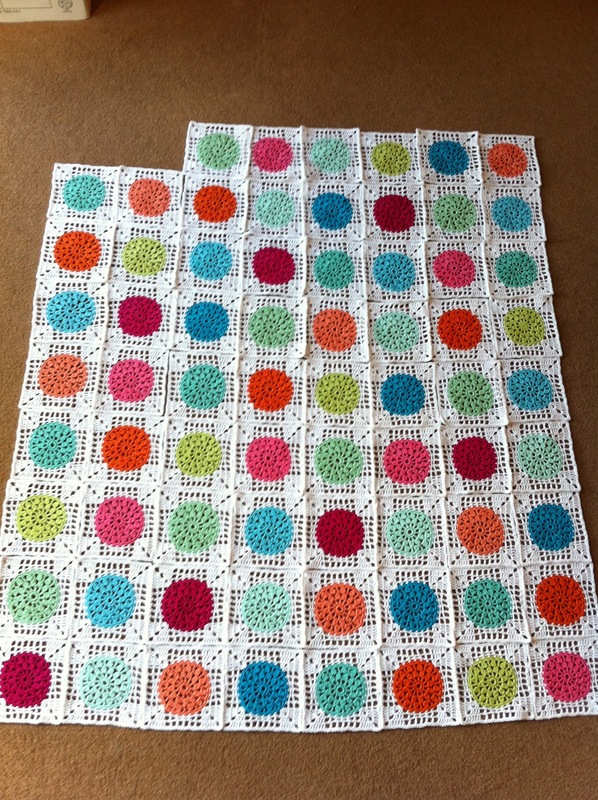 All ready for the border to be added! 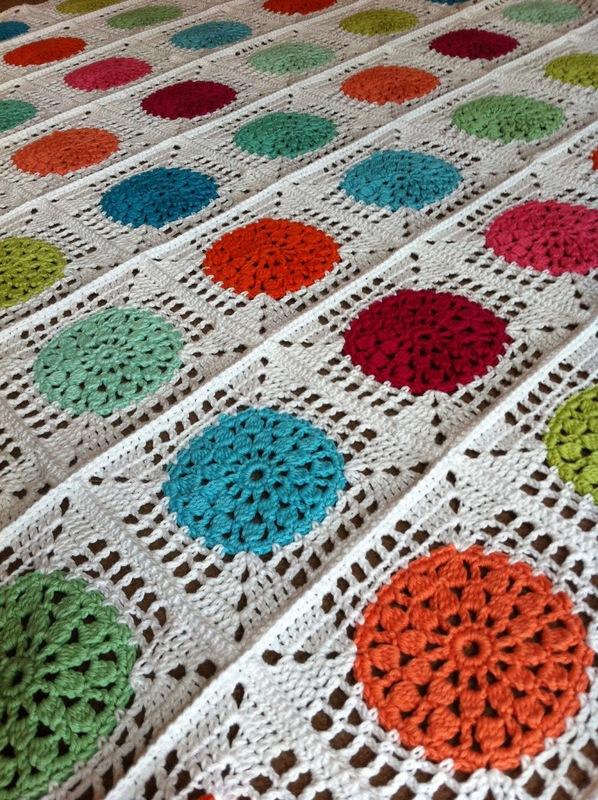 I have to say that I have LOVED making this blanket. I didn't even get that usual feeling half way through of wishing it was finished. 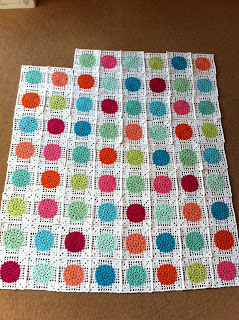 I'm totally smitten by the bright cheerful squares! 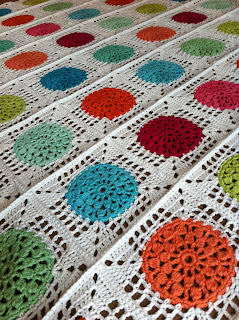 Next post I shall unveil the finished blanket...complete with the border from hell!